Background: “Computer Aided Diagnosis (CAD)” methods are today considered an important means to facilitate and speed-up the work of medical experts, namely in detection, segmentation, and classification of both healthy and pathologic structures in medical image data. Discussion: This paper provides an overview of such recently published methods aimed at analysing metastatic lesions in the spine using CT imaging. Moreover, common methods of evaluation and efficiency verification of the published CAD systems are also included. Conclusion: The methods of analysis and the respective CAD systems are mutually compared and their efficiencies, advantages, and drawbacks are discussed. Keywords: Metastases, spine lesions, tumour, classification, segmentation, computed tomography. 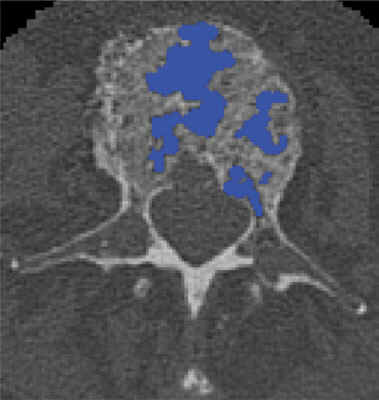 Keywords:Metastases, spine lesions, tumour, classification, segmentation, computed tomography. Abstract:Background: “Computer Aided Diagnosis (CAD)” methods are today considered an important means to facilitate and speed-up the work of medical experts, namely in detection, segmentation, and classification of both healthy and pathologic structures in medical image data.